Millions of illegal mobile Handsets are at the risk of being block by Pakistan Telecommunication Authority (PTA) after October 20 2018. It is a part of massive drive against fake (International Mobile Equipment Identity) IMEI throughout the country. According to the PTA, illegal mobile Handsets that don’t come with a valid IMEI number will block after the expiry of the deadline. In this regard, the telecom authority circulating SMS recently, asking people to get their Handsets verify. If your Handsets possess valid IMEI than it will continue in Pakistan. And if it possess invalid IMEI than it will block in Pakistan. PTA DIRBS Block Felonious Illegal Unregistered Mobile Phones. 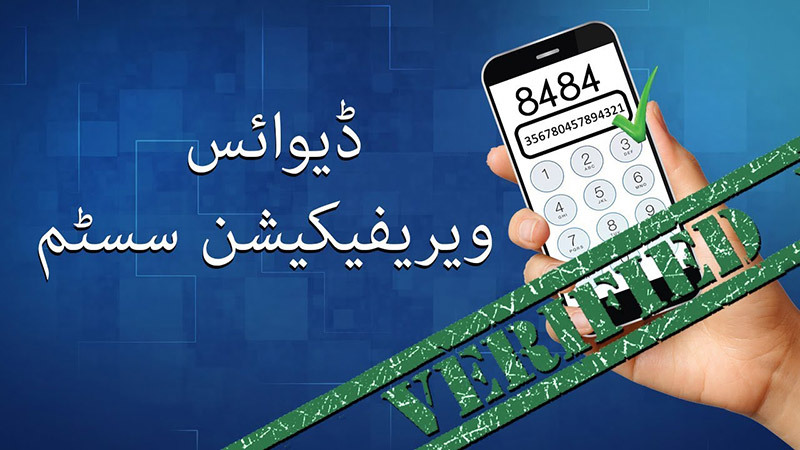 It also directs users to check and match their IMEI numbers with data from PTA by sending an SMS on 8484. All mobile Handsets having SIM/IMEI functionality operating on Pakistani mobile networks will not face any service interruption nor will be block by DIRBS. Any mobile device reflecting non-compliant status after 20th October 2018 will block as per Pakistan Telecommunication Authority (PTA)/DIRBS regulations. Any mobile Handsets obtain/purchase/import after 20th October 2018 must obtain PTA Certificate of Compliance (COC) to technical standards. PTA DIRBS Block Felonious Illegal Unregistered Mobile Phones. 4 Categories of Responses You Should Know About! Compliant Devices are PTA type approved and legally imported in Pakistan. Valid Devices are such devices where the IMEI of the mobile device is valid (GSMA approve), however, it is not PTA compliant/approve. To facilitate such users, PTA will auto register all such IMEIs which are observe on the mobile network before 20th October 2018 and their status will be compliant. Non-Compliant Devices are such devices where IMEI is either not allocate by GSMA or it is duplicate. To facilitate such users, PTA will auto-pair all such IMEIs which are observe on the mobile network with specific SIMs before 20th October 2018. After this date, those users will be able to use these IMEIs with pair-SIMs- In order to auto pair all the IMEIs relate to this mobile device, users are advise to do any revenue generating activity from their SIM(s), i.e. make any call, send an SMS or use mobile Internet from their SIM(s) before 20th October 2018. Blocked Devices indicate that your IMEI is blocked as this IMEI has report stolen earlier. It is direct that mobile device users should verify their IMEI. PTA DIRBS Block Felonious Illegal Unregistered Mobile Phones. For this user must send SMS to 8484 before buying/obtaining any Handsets. 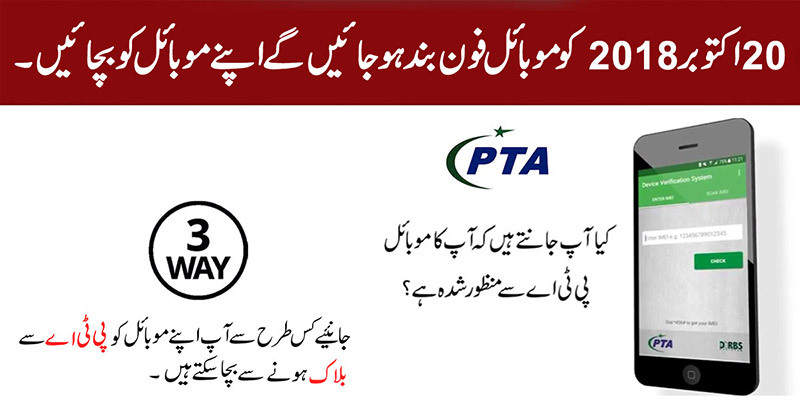 Therefore, it is advise to buy only PTA compliant/approve mobile devices. PTA DIRBS Block Felonious Illegal Unregistered Mobile Phones.